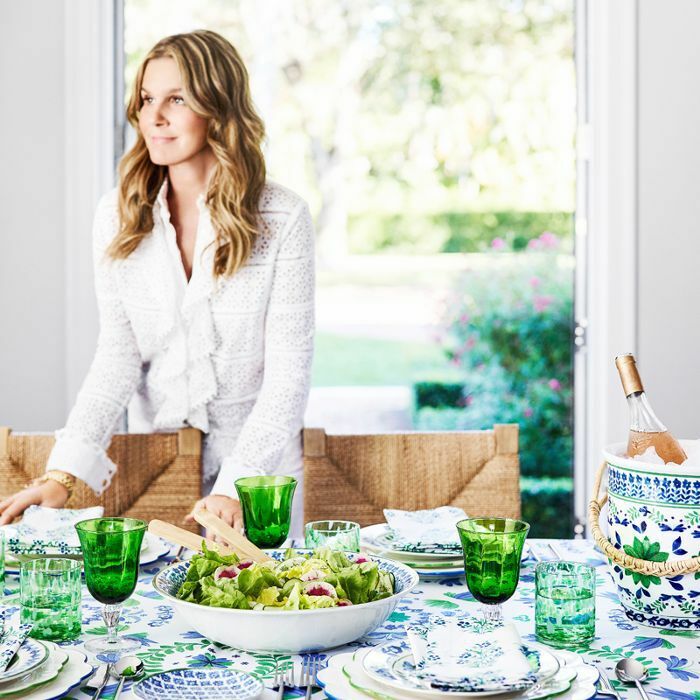 As the weather warms and tiny buds start to unfurl their petals, spring marks the start of outdoor entertaining season, something Aerin Lauder embraces with enthusiasm. "I love hosting friends and family," the founder and creative director of lifestyle brand Aerin tells MyDomaine. "One of my favorite places to host guests is at my home in the Hamptons [where] I have been going to since I was a little girl." 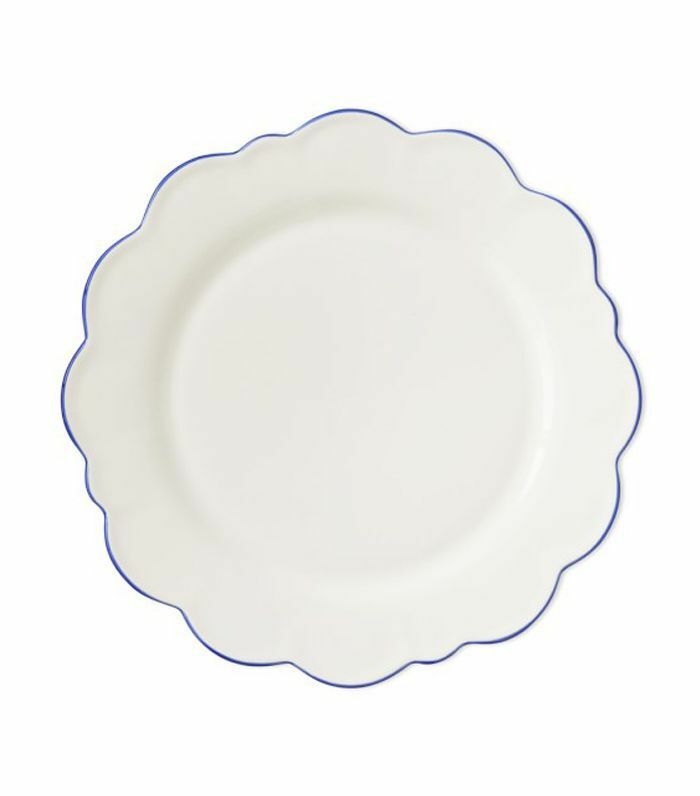 Lauder's relaxed yet elegant seaside gatherings were the inspiration behind her latest collaboration with Williams Sonoma, a gorgeous 26-piece line of dinnerware, décor, and more. "Summer entertaining should be effortless, fun, and delicious," she says, an ethos that guided the coastal-inspired line. "Some of my favorite memories involve big family celebrations outside." Set a date and invite your friends over: Here's how to throw a dinner party to remember, thanks to Aerin Lauder. The most effective way to make a table setting look refined and considered is simple: Pick a color theme. Choosing one or two accent colors will make everything look tied together, even if you're pinched for time. "I stick to a color palette, and blue and white is my favorite combination. It's classic and clean and works in any setting," says Lauder. When layering plates and glassware, Lauder tries to strike a balance between statement prints and block colors. 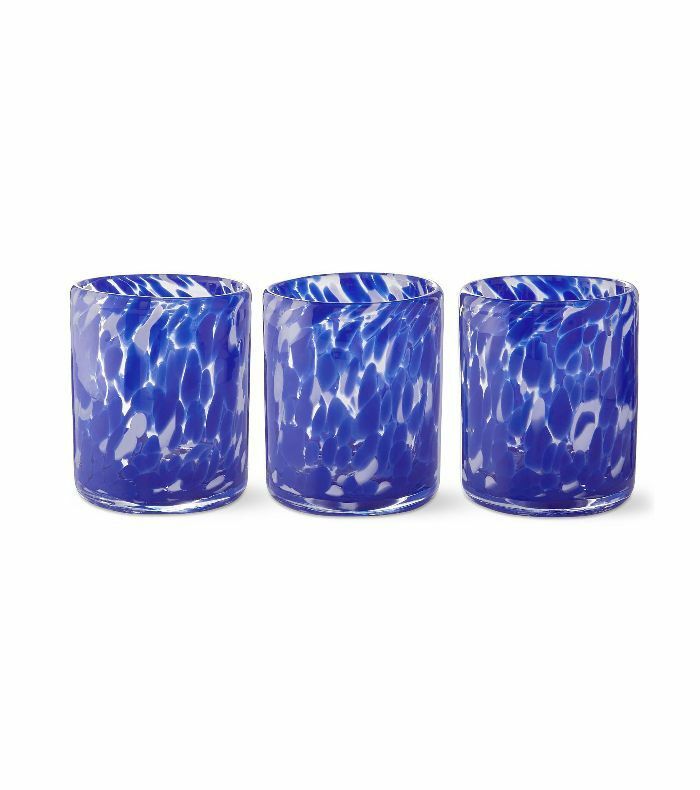 "I always keep it simple and casually elegant with a mix of solids and different prints on a table in coordinating colors," she says, a decorating tip that was top of mind when designing the Aerin collection by Williams Sonoma. 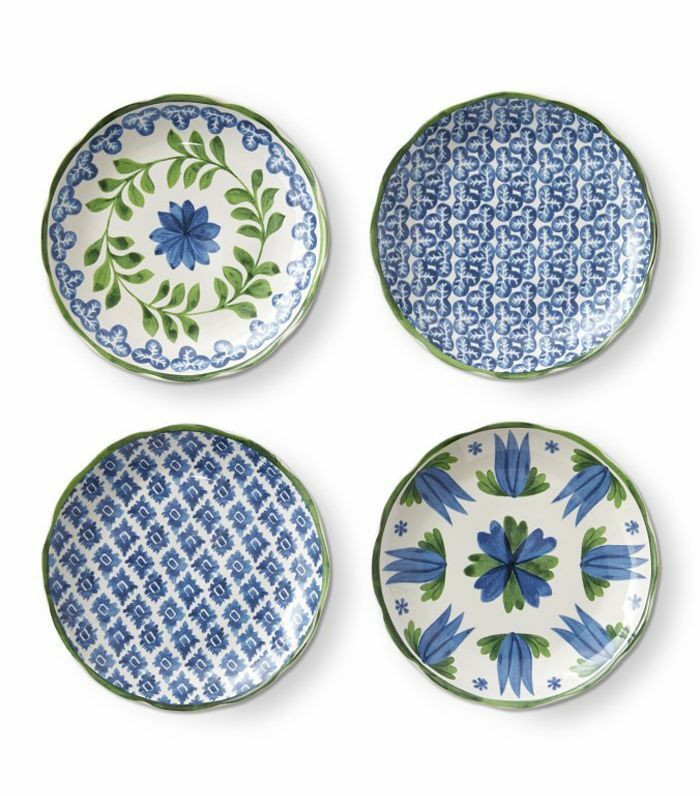 "I love that the salad and appetizer plates in the new collection have four different prints in each set. It makes each setting special and different from the one next to it." The most memorable entertaining touches aren't necessarily the most time-consuming. Case in point: Lauder's portable bar. "I use a tray to create an instant cocktail party. It quickly becomes a portable bar space that can move with your guests," she says. 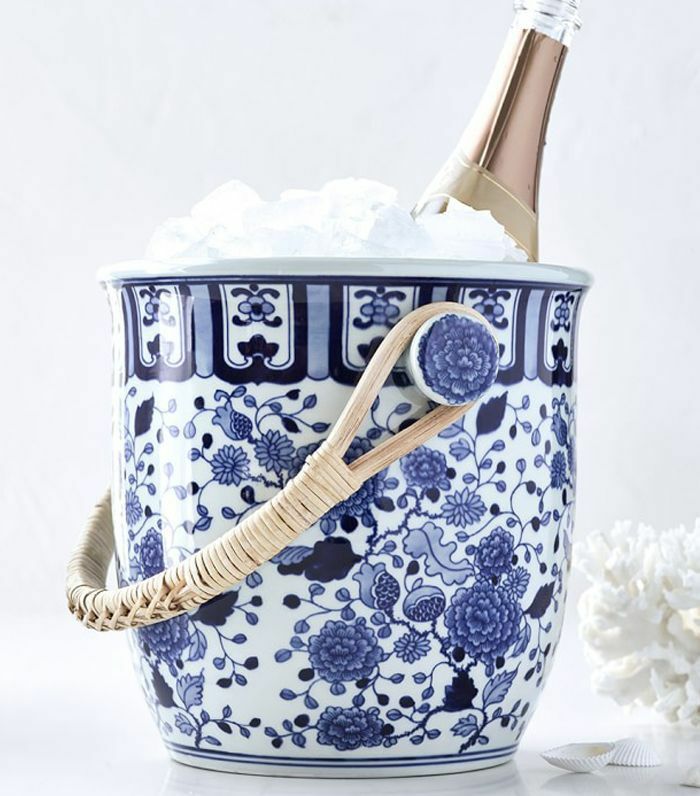 "I usually place flowers, a crystal carafe and glasses, my favorite spirits, and pretty bowls filled with nuts and gourmet potato chips for guests to snack on while they pour themselves a drink. It’s elegant and relaxed." Once you've chosen a color theme, turn your attention to the menu, which Lauder likes to pair with the table setting. 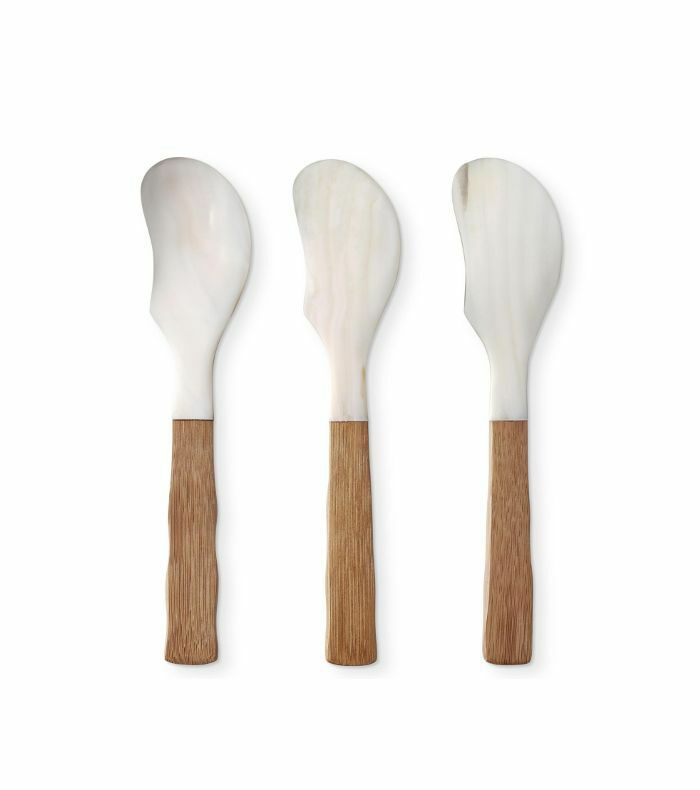 "When we were developing the new collection, I was able to work with the Williams Sonoma Test Kitchen to develop recipes that reflect the feeling of the collection," she says. "One of my favorites is the tomato salad with parsley and feta," a colorful dish that looks perfect atop her scalloped plates. Cheese platters are the busy host's dream. The ingredients can be bought and stored in advance, and they're a quick-to-assemble, no-cook option. "I like to incorporate local cheeses from the region as much as I can, and I love to add color to a cheese platter," she says. "Fruit, crackers, and spreads are the perfect accessories to a cheese platter [with] our new mother-of-pearl cheese spreaders." "Flowers are an important part of my DNA," says Lauder. "Growing up, my grandmother and mother always had fresh arrangements in our home. They add life and beauty to any space." If you're unsure how to mix and arrange flowers for a dinner party, her advice is refreshingly simple: Don't overdo it. "I like to use one type of flower or color in each vase—my favorite colors are white, pink, red, and purple, [and I love] peonies and gardenias." Unsure what to serve? Start with these 16 easy dinner party recipes. There's something to suit every type of guest.